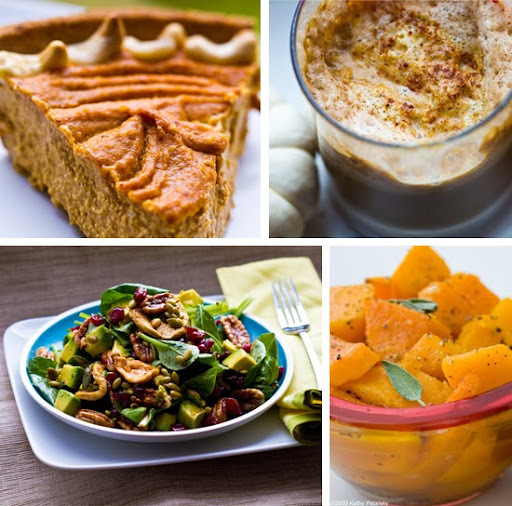 Ten Yummy Vegan Reasons to Love Fall. recipes.. It's getting nippy outside! Cracking winds are whipping down the side streets, while swirling leaves dance on a breeze. Pumpkin patches and scarves all a flurry. I can't help myself, I looove fall in New York. If I can't be sunbathing and smoothie-sipping, seaside on South Beach, I am quite cozy and happy wearing a sweater and scarf in Central Park. No jacket required (yet) - and I like that. Last year I posted my Top Ten Reason's I'm Excited About Fall. Well I've updated this post by adding a new set of ten reasons. Check out my new faves and last year's as well. Fall is here - enjoy it. 4. 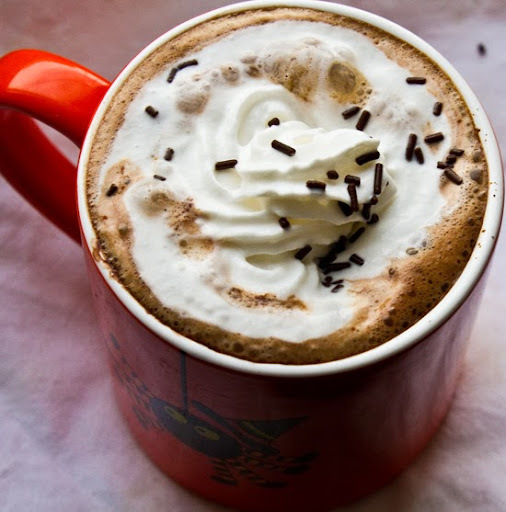 Hot Cocoa and Mochas with Whip. Vegan Soy Mocha or Cocoa. 7. Cookies! warm from the oven. Classic Chocolate Chip Walnut Cookies. 9. Warm Muffins, Loaves and Bread. Orange Spice Pumpkin Banana Bread. 10. Healthy 'Game Day' Eats. Now a vintage look back at last year's Top Ten.. Hot soup! need I say more? 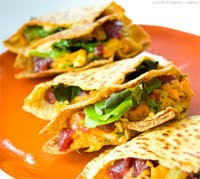 Spicy Broccoli Cheddar, Carrot Ginger and Roasted Red Pepper! You name it, I'm thrilled to guzzle it down on a cold fall night. Dusty pumpkins at my doorstep and warm carrot ginger soup in my lap. 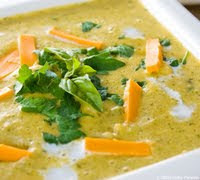 Soup recipes here. My ritual cold morning brew. 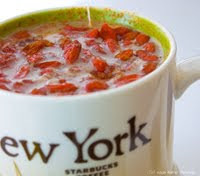 Soy milk, chai tea, dash of cayenne, dash of cinnamon and lots of goji berries soaking on top. It's divine. The perfect excuse for a smoothie on a chilly fall day? It's ginger infused! Very fall indeed. Nothing goes better with crispy fall leaves, pumpkins and orange-pink sunsets than a ginger drink. Ginger Snap smoothie please! My favorite apple variety: the divine Honeycrisp apple. Need I say more. Bite, crunch, smile. OK, and I love all the varieties of fall apples: fuji, Mustu, Pippin, Crispin and many many more. 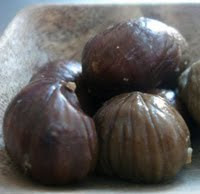 I discovered how delicious (and nutritious) chestnuts can be, last winter. And now they are available in easy-open snack packs! Love it. These are a must try for the fall season. Roasted with a hint of sea salt - that's all they need. 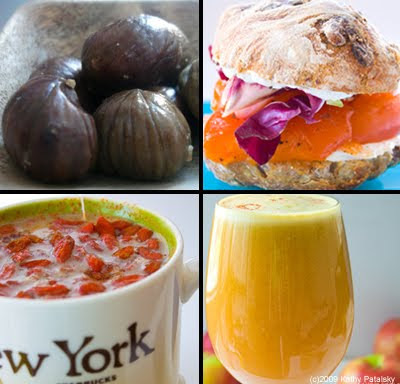 Chestnuts are a total super food. 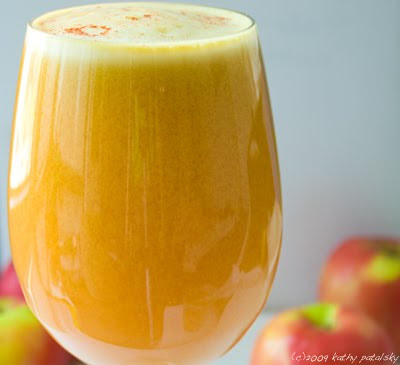 Fall means apples and apples mean juice. Fresh pressed juice of course. And nothing beats the classic combo of ginger and apple. 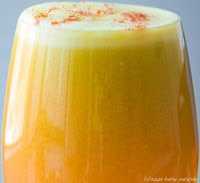 Jazz it up a bit with my recipe for Apple Ginger Juice. Hot-Cold water therapy is a favorite wellness technique of mine. And what's better than a hot bath to begin the process. Then cool off with an icy cold shower. Hot-cold-hot-cold. Find out more here. 3. Persimmons and Fuyu Cream Crusties. Yes! 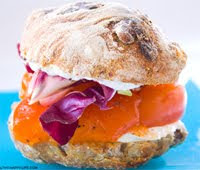 I am sooo craving my Fuyu cream Crusty and more of those creamy sweet seasonal persimmons. They are quite the fiber-rich super fruit you know...more persimmon nutritional facts here. 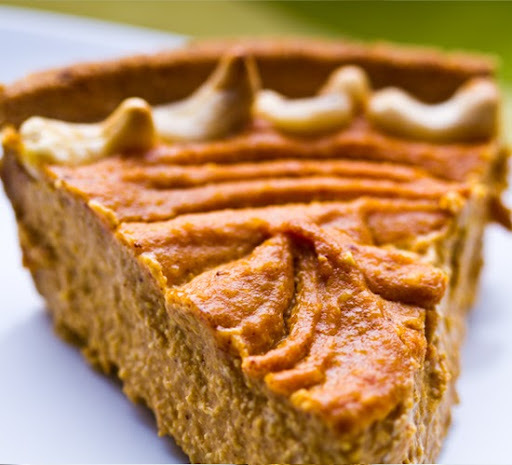 I adore pumpkin butter. But only in the fall and winter seasons. 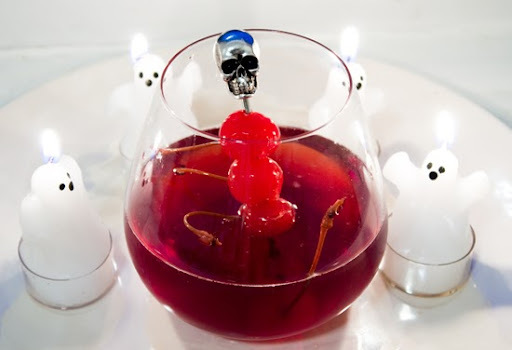 It's a seasonal treat, right? My favorite brand was found here. If you couldn't guess my number one reason, you obviously haven't been reading my blog enough! Sweet potatoes are my favorite! I even did Sweet Potato Friday. It's my favorite thing in the world: my sweet potato mash. I eat it year round, but nothing tastes better on a cold fall night than a Sweet 'n Sassy Sweet Potato Pocket or a side of sweet potato mash.